1. 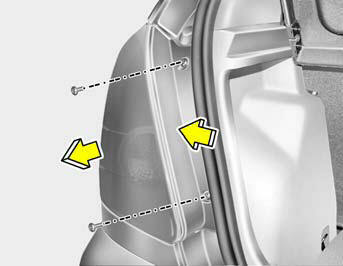 Open the trunk lid (4 Door) or tail gate (3 Door). 2. 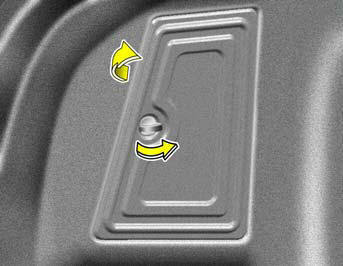 Remove the cover on the inside of luggage trim. 3. 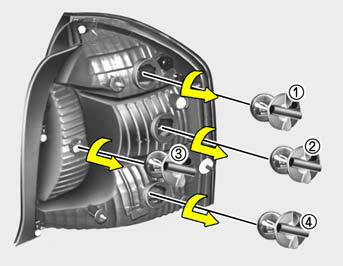 Remove the nuts of the rear combination light with a spanner. 4. 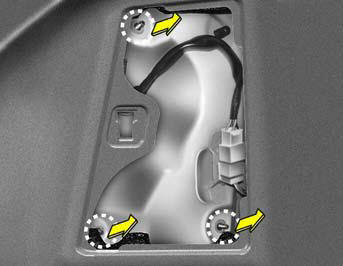 Detach the rear combination lamp by pulling it out (4 Door) or remove the mounting screws of the rear combination lamp with a phillips screwdriver (3 Door). 5. 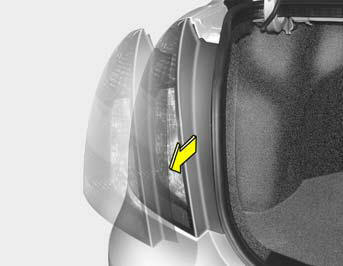 To replace the rear combination light, take it out from the bulb holder by turning it counterclockwise. 6. Install the new bulb.